Who: All HS Boys varsity teams are welcome to participate, but we plan to field a 20-24 team boys tourney. Cost: $450 per team, plus each team is required to purchase a minimum of 18 t-shirts at $15 per shirt. Entry Fee is due December 1, 2018. Shirt order form is due March 13, 2019. Shirts may be paid via check in advance or on-site at check-in. Contacts: Kevin Heise at kheise@grayca.com / (803) 447-6496 for more information. Why the NPC: Great NIKE gear for coaches! Certified Athletic Trainers! Premier facilities! Three officials for every match! 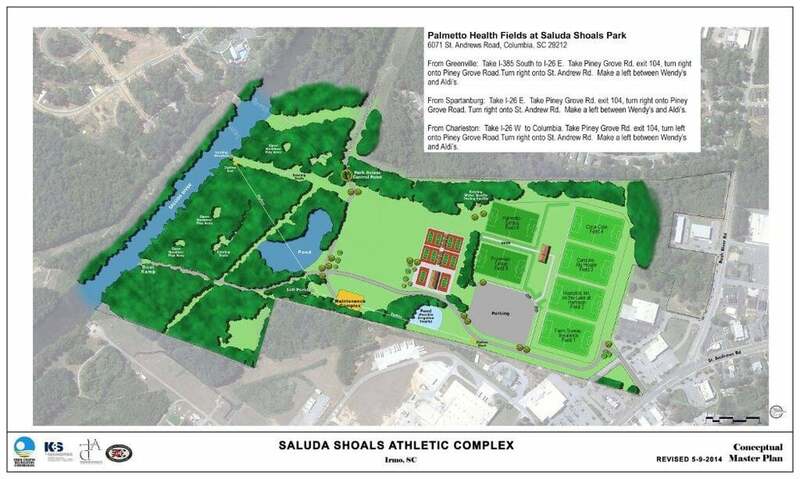 Reminder for the 2019 NIKE Palmetto Cup hosted by Gray Collegiate at Saluda Shoals Soccer Park in Columbia. These billboards will be up around the Midlands soon! Thanks to the Columbia Regional Sports Council for assisting us with this endeavor. NIKE Palmetto Cup website is updated throughout the day!